NEW RESEARCH: More than 84 percent of respondents in a new survey is in favour of reducing Ukraine's territory. A majority of Russians favour a reduction of Ukraine’s territory, according to new research findings. In an opinion poll conducted in November 2014, almost 84 per cent of those surveyed were in favour of reducing the territory of Ukraine to some extent. The poll is part of the research project New Russian Nationalism (NEORUSS), led by Professor Pål Kolstø, University of Oslo, and Helge Blakkisrud, senior researcher at NUPI. ‘We must see the results in light of when the survey was carried out. The Russian authorities had already for months hammered in the message that Crimea is “Russian territory” and that the conflict in Eastern Ukraine is “a humanitarian disaster”. Given this context, it should come as no surprise that some respondents should feel that Crimea and Eastern Ukraine should not be part of Ukraine. What is disturbing is that as many as 11 per cent held that “no part of Ukraine can be an independent state”; furthermore, another 11 per cent would accord such rights only to the westernmost parts of today’s Ukraine’, says Helge Blakkisrud. The survey was conducted by the major Russian polling institute ROMIR on behalf of the researchers. In late May 2015, results from the poll were presented on the webpages of the Washington Post by NEORUSS project participants Mikhail Alexseev (San Diego State University) and Henry Hale (George Washington University). These experts point out that overwhelmingly, Russians tend to see Ukraine’s political leadership as illegitimate. ‘Again, these results are due to the influence from state-controlled Russian media, which routinely refer to the new Ukrainian government as the “Kiev junta”. President Poroshenko and his supporters are accused of currying favour with fascists and far-rightist forces, and of being mere puppets of the West’, Blakkisrud adds. He explains that while the OSCE election observers expressed positive views on the conduct of the 2014 Ukrainian presidential and parliamentary elections, the Kremlin holds that the regime change in February 2014 was illegitimate. This influenced the Russian coverage of the following elections and the new regime – hence also the respondents’ feelings about the current Ukrainian authorities. Blakkisrud: ‘We must differentiate between Crimea and Donetsk/Luhansk. For Crimea, this is mainly a question about history and national pride. Crimea is conceived as a historical part of Russia, finally reunited with the motherland. Even though the Kremlin has sought to present Donetsk and Luhansk as “Novorossiia”, “the new Russia”, very different motives are involved in this case. Russia wants to prevent the Ukrainian authorities from turning to the West, to the EU and NATO. 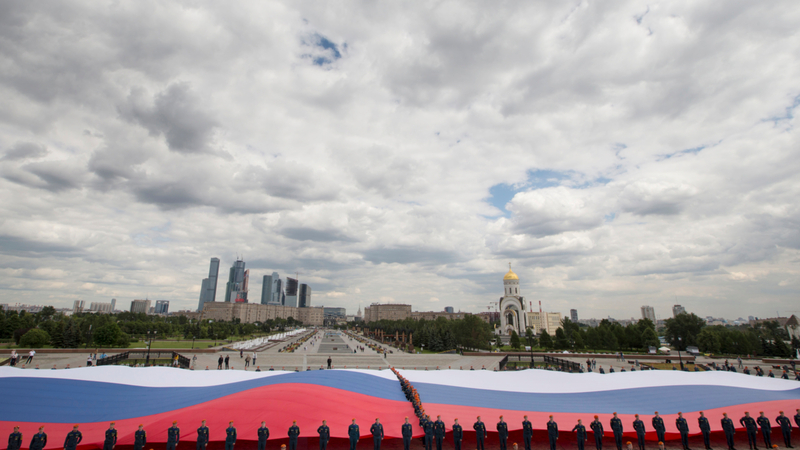 By supporting the ‘people’s republics’ in Donetsk and Luhansk, Moscow seeks to exert leverage on Kiev’. Although survey respondents held critical views on Ukraine and its authorities, a majority also expressed disagreement with Russia’s interference in Ukraine. Explains Blakkisrud: ‘This to some extent indicates an emerging “Ukraine fatigue” in Russian opinion. With the annexation of Crimea in March 2014, public opinion was almost united in its support. Now this euphoria is fading. The costs involved in incorporating Crimea and Sevastopol into the Russian Federation – and not least the costs related to the continued conflict in Donetsk and Luhansk in terms of sanctions and fallen soldiers – are becoming increasingly evident. Some 55 per cent of the survey respondents stated that they thought the annexation of Crimea had ‘cost too much’. Blakkisrud goes on to note that the survey results on where Russia’s borders should be point in the same direction. From May 2013 to November 2014, the share of those who felt that Russia’s borders should not be altered rose from 39 to 50 per cent. Figures for those who wished a restoration of the Soviet Union, or a union with Russia, Belarus and Ukraine, had decreased correspondingly. 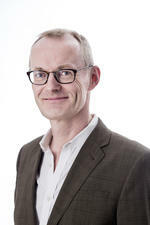 Helge Blakkisrud successfully defended his doctoral thesis in political science, The Governors’ Last Stand: Federal Bargaining in Russia's Transition to Appointed Regional Heads, 2005–2009, at the University of Oslo on 8 June 2015. This project investigates the developments of nation-building, nationalism and notions of the 'other' in today's Russia.